With the highest electrical conductivity rating across all non-precious metals, copper has been used in electrical wiring and cable conductor manufacturing for more than a century. Through advances in telecommunications and digital technology, the use of electricity continues to rapidly expand. What Items Commonly Contain Copper? Electronic devices of all kinds include copper wiring and conductors, such as computers, televisions, and phones. Large household appliances like dishwashers, laundry units and refrigerators also contain insulated copper wires. Additionally, smaller appliances ranging from coffee makers, toaster ovens and blenders also include copper wiring in their circuitry. What Type Of Copper Wire Can I Scrap? While not every scrapping facility will take just any type of copper wire, Metalico accepts different varieties, from insulated copper wiring to bare stripped wires. If you are not sure about what kind of copper wiring you have or you just have an enormous pile, our team will gladly sort through your collection and compensate you fairly. 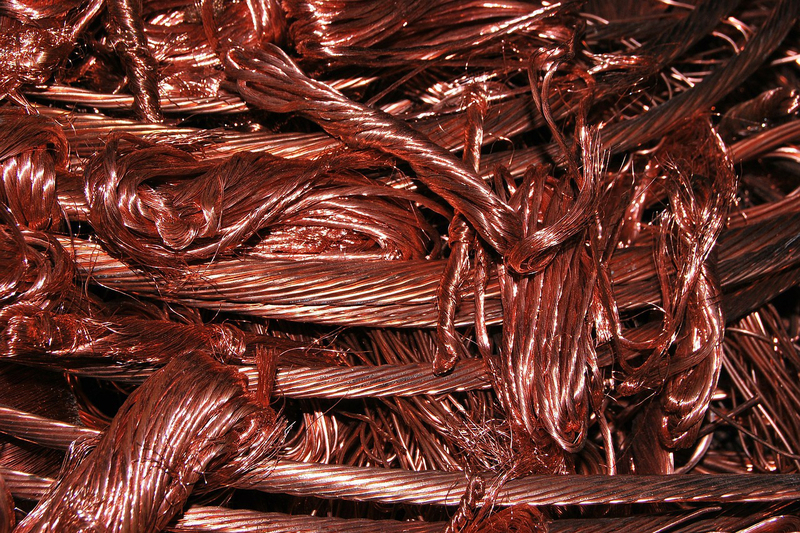 For larger quantities of copper wire, we can provide scrap container services to ease transportation arrangements! Metalico strives to offer the fairest pricing for copper wire scrap metal across Western New York. With offices located in Buffalo, Niagara Falls and Lancaster, we are accessible to many returning contractors and business partners. If you would like to learn more about the latest pricing for your copper wire, please contact us today!